Vintages are never black and white, though many of us look at them that way. Take Bordeaux. I have met people whose buying preferences would not entertain the notion of transgressing beyond 1982, 2005 and 2009. That is what they perceive to be the best. That is what they want. That is all they will ever consider. But vintage quality is a sliding band of greys, not black and white. Truth is that even the nadir of growing seasons, annus horribilis excoriated by all and sundry, will offer glitter amongst the dirt. This is why my Cellar Favorite is the 1973 Pétrus. Forget it is hallowed Pétrus for a moment. This bottle was poured by the Lord Bruce at Bellamy’s, a discrete old-fashioned bistro hidden in a mews behind Bond Street. Its clientele seemed to be other members of aristocracy or member of the House of Lords. We had gone to feast on new season’s grouse and our host nonchalantly served this wine, inviting us to guess postcode and age. Hmm... It had a few years on the clock. It was old lace, fine old lace. It was clearly not from a growing season of repute, but how could you ignore the ethereal balance, its utter lack of pretentious or its sheer drinkability? Every sip enticed the next. The maître d’ brought forth the bottle. Pétrus! Pétrus? That would explain the quality. But 1973? A stinker of a vintage! 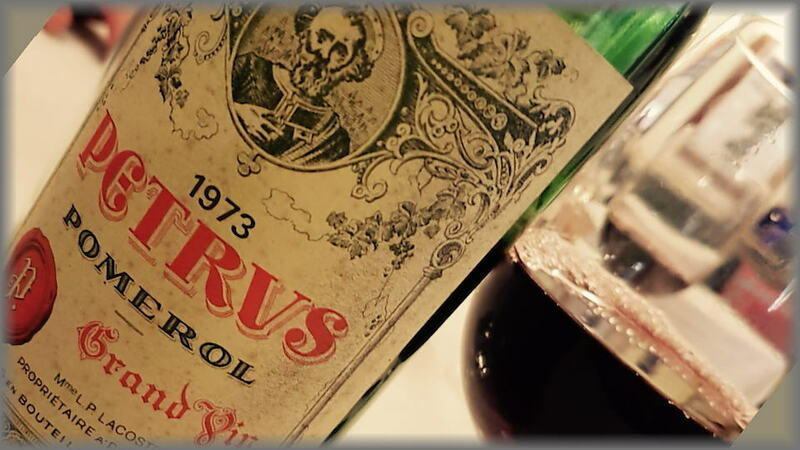 Winemaker and Pomerol deity Jean-Claude Berrouet has often told me how he considers the 1975 Pétrus as his first success, the preceding vintages more trial and error. (Those who have savored the 1964, 1966, 1970 and 1971 might beg to differ.) Yet the quality of this 1973 was undeniable. I had encountered it once before, a bottle opened for my brother to celebrate his birth-year over a decade ago when such off-vintages, eschewed by all but the reckless, were affordable. But I could not remember it being this fine. “You should not under-estimate the Pomerols in 1973,” Lord Bruce advised. Who am I to argue in such vinous presence? Whether a horizontal of 1973 Pomerol wines will serve the Vinous readership is another question. The salient lesson from this bottle was to never ever dismiss a bottle by dint of birth-year. Humans and wine alike cannot determine the year they are born. It is more a question of having to search harder in some years than others. 91/Drink 2018-2023.